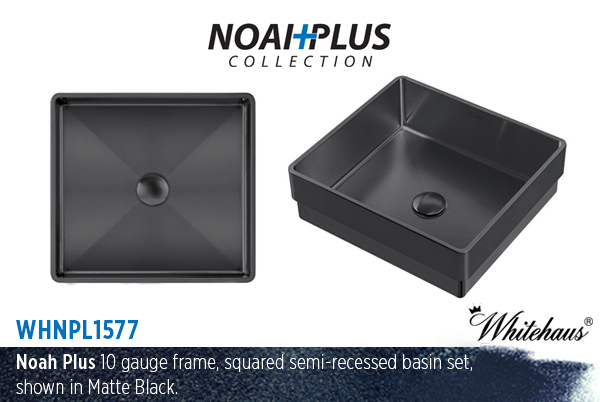 The Matte Black finish on the stainless steel bath sinks in the Noah Plus Collection have a unique, very light and fine coarse texture that gives them that matte, elegant look. The rich beauty of these stunning sinks creates a great contrast, enhancing any decor with its deep black color and interesting surface. 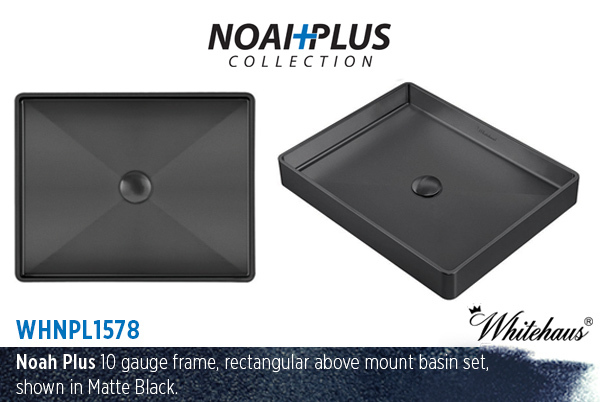 Available in semi-recess and above mount models, the Matte Black finish is also available in the Noah Plus Collection of kitchen sinks.